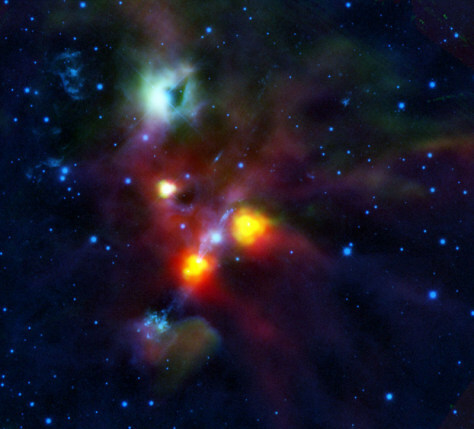 NGC 1999 is the green tinged cloud towards the top of the image. The dark spot to the right was thought to be a cloud of dense dust and gas until Herschel looked at it. It is in fact a hole that has been blown in the side of NGC 1999 by the jets and winds of gas from the young stellar objects in this region of space.